You are here: Home / Fair Trade Coffee / Barista Training / How Much Should an Espresso Machine Cost? How Much Should an Espresso Machine Cost? One of the biggest equipment costs for any coffee shop will be its espresso machine. This purchasing decision is important and can be complicated for a variety of reasons. How busy is your shop going to be? What bells-and-whistles are must-haves for your espresso machine? I often use a car-buying analogy when I’m consulting with wholesale customers or students on this issue. Don’t buy an economy car when you need a heavy-duty vehicle. Don’t buy a Ferrari when your budget only supports a Ford. You can spend a ton of money on a top-of-the-line espresso machine, but a higher price doesn’t mean that it’s the best or even the right machine for you. The first decision you will need to make is determining how big your machine needs to be. The number of group heads, or groups, determines the number of shots you can produce at a time. Do you anticipate being a high-volume shop? You may want a three-group espresso machine. Are espresso-based drinks only a small portion of your beverage menu? You might want a one-group machine. In addition to determining the number of group heads, you will also need to decide how much control you want to have over each shot. There are four types of espresso machines that each give you a different capacity to control the flavor profile of your espresso shot. They are: Manual, Semi-Automatic, Automatic, and Super-Automatic. Manual machines require a lot more barista training, but they offer the barista more control over the flavor profiles of the end-product. 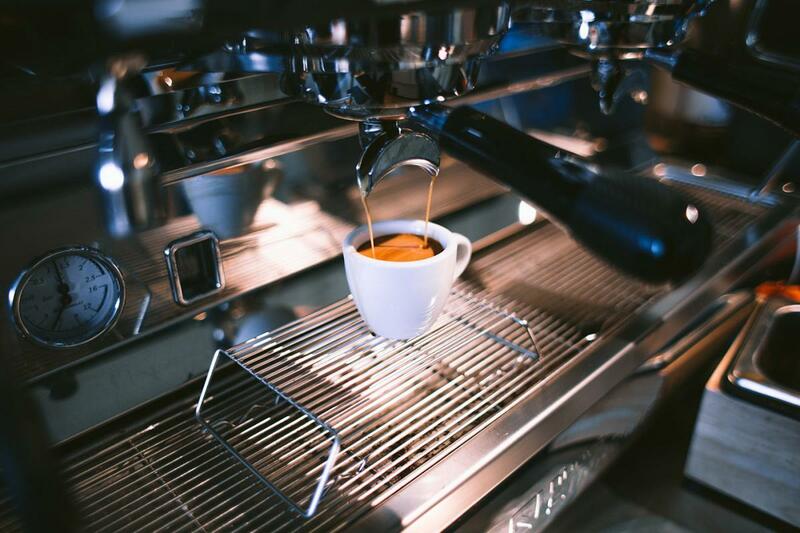 On a manual machine, the barista can control the pressure of the espresso shot, which is a key variable that determines the strength and extraction of the final cup. Most modern manual machines offer pressure profiling. This allows the pressure to be varied throughout the shot, but also set by a computer to help maintain some consistency. Semi-automatic machines are generally no-frills machines where the barista must start and stop each shot. The barista can influence the brew time (another important variable that impacts strength and extraction) by controlling when to start and stop a shot, as well as through grind size and tamp. The pressure of the water as it moves through the coffee puck is controlled in a semi-automatic machine. This is my favorite type of machine. I learned to pull espresso shots on this type of machine, and it was a great vehicle to learn about the variables that impact espresso. It is typically more user-friendly for beginners than a manual machine. Automatic espresso machines don’t quite do it all for you, but can take a lot of the guesswork out of the barista’s hands by programming shot volumes. If you want a super-automatic espresso machine, it will pull shots, texture milk, and even auto-clean for you. You will pay for that convenience. High-end super-automatic single-group head espresso machines can $15,000 or more. A Semi-Automatic might be priced as low as $3000. Buyers should beware a bargain, though! If it seems too good to be true, it usually is. It’s easy to fall in love with the price point of a $1,200 machine. Unfortunately, this is either a high-quality home machine that won’t have the power to keep up with your needs as a coffee shop, or it’s a low quality machine that claims to be commercial grade. In my experience, a low-quality machine both makes bad coffee and breaks down frequently. When it breaks down, it will also be difficult to find service technicians and replacement parts for it, because there will be fewer of those types of machines in commercial use. It’s important to remember that your espresso machine is where you make most of your money as a coffee shop. When it breaks, you lose money. 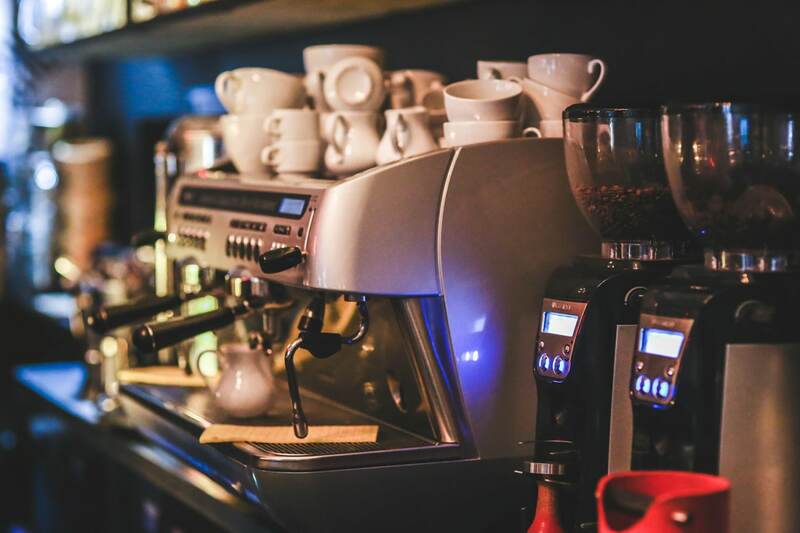 You should invest in a quality piece of equipment from a reputable brand, like Nuova Simonelli, La Marzocco, or Rancilio, that has service available in your area. Most shops do best with a two-group machine, and that means expecting to spend closer to $5,000–$11,000 (or more, depending on the make and model). Unless you know you are going to be EXTREMELY high-volume, then you can probably save the money of investing in a three-group machine. Two well trained baristas can work faster on a two-group than one person producing coffee on a three-group machine. Within each of these classes of machines, there are different grades. For example, a three-group Rancilio Classe 5 Automatic Machine may cost around $8,000. The same size Victoria Arduino Black Eagle Gravimetric machine, with all of its bells and whistles, can run upwards of $25,000. At the end of the day, you can literally spend as much as you want on your espresso machine. Where you buy your machine will also have a big impact on your cost. Most of the prices quoted in this blog are from online retail stores, specifically espressoparts.com. If you buy your machine directly from an equipment dealer or manufacturer, they may offer package deals that could include purchasing an espresso grinder at the same time. Many dealers also include installation and warranties for the first few years. Personally, this has always been a major selling point, especially for new businesses. You will want to minimize the downtime of your machine and be able to call a qualified tech if something breaks. It’s also possible that the dealer will have a showroom where you can try out different machines, which is the case with my personal favorite dealer in Georgia, Espresso Southeast. Whatever machine you choose, just make sure that you know how to use it properly. At the end of the day, the person running the machine will dictate your drink quality, not how many gadgets the machine has. April 9, 2019 /0 Comments/by Hannah Mercer A.S.T. https://blog.cafecampesino.com/wp-content/uploads/espresso-machine.jpg 933 1400 Hannah Mercer A.S.T. https://blog.cafecampesino.com/wp-content/uploads/Cafe-Campesino-Small-Farmer-Coffee.png Hannah Mercer A.S.T.2019-04-09 11:47:562019-04-09 11:45:41How Much Should an Espresso Machine Cost?